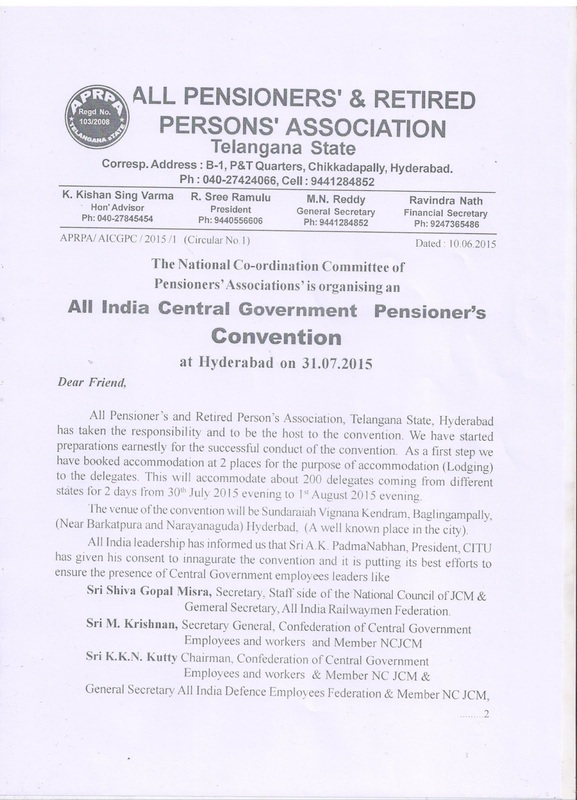 Telengana State All Pensioners & Retired Persons Association is hosting the convention as per the decision of the NCCPA National Executive. The Circular issued by the Reception Committee viz., the All Pensioners & Retired Persons Association is hereunder for the information. 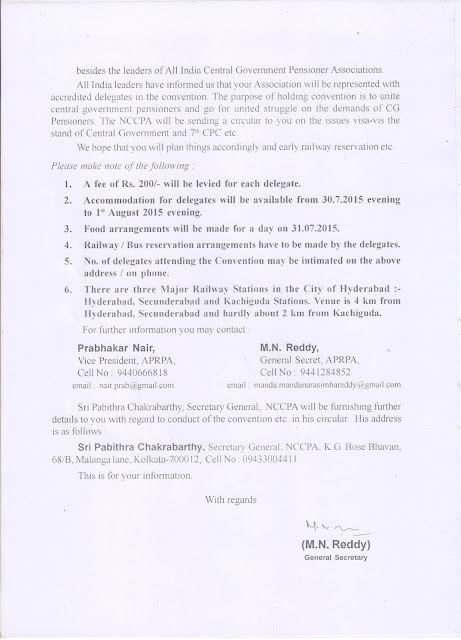 All Affiliates are requested to mobilize maximum delegates to the National Convention.